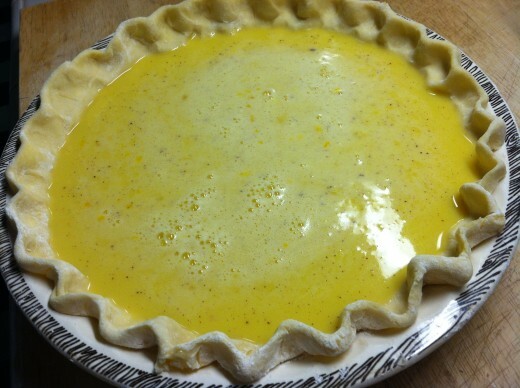 I don’t know who started this tradition with my family’s Thanksgiving dinner, but we always had custard as well as pumpkin pie. It just wouldn’t be Thanksgiving without it. My boys agree. So nice to be able to pass my favorites down to them. 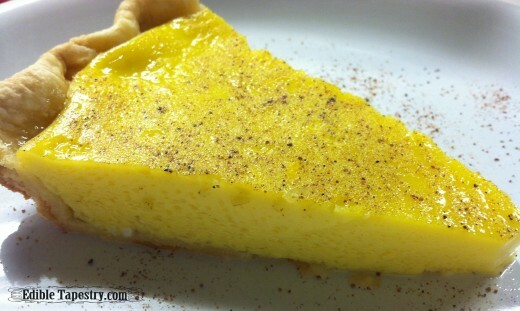 These are the same egg custard ingredients used in making French toast, flan, ice cream…just poured into a shell with nutmeg added and then baked. 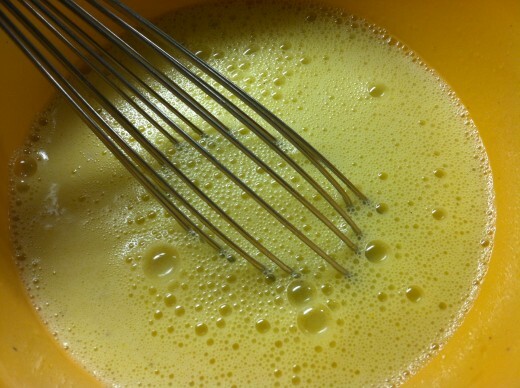 So interesting that you can create so many different things with the same basic ingredients. 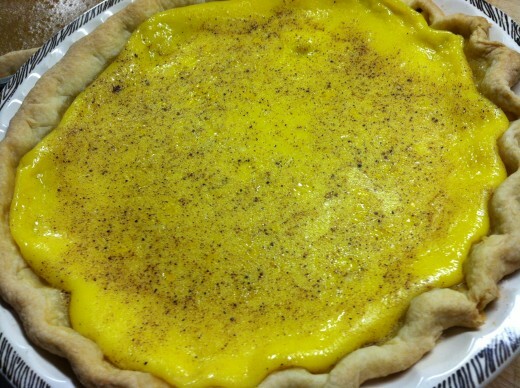 I used my Ultimate Flaky Crust for the pastry. 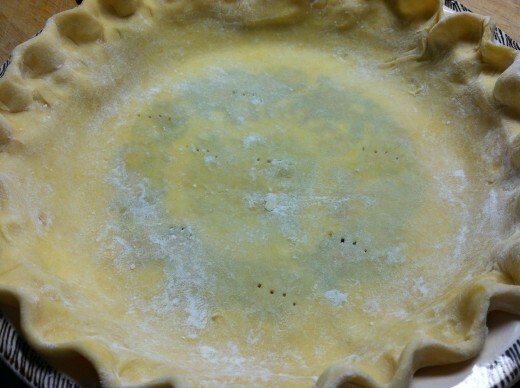 Prepare two 8″ pie crusts or one 10″, deep crust. 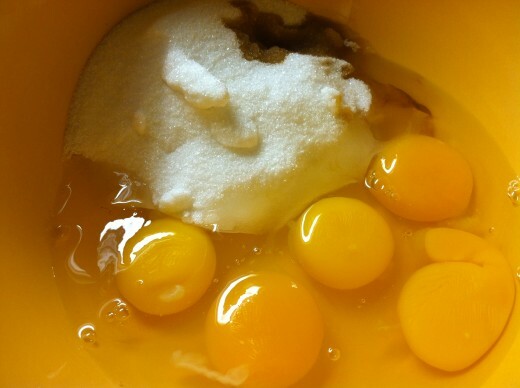 Beat together the eggs, sugar, and vanilla in a large mixing bowl until the eggs are blended well. 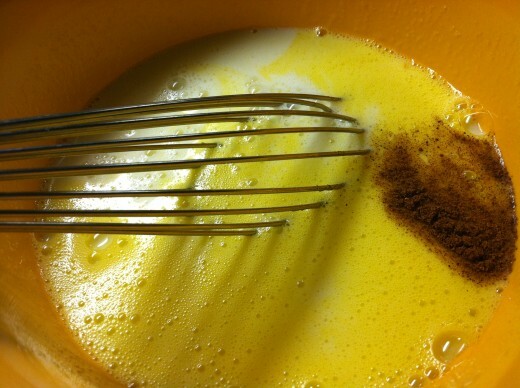 Add the milk and nutmeg. Mix well. Bake approximately 40 minutes, until set. 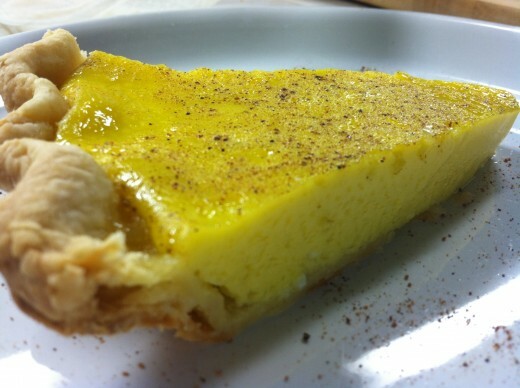 For extra fun, serve slices with a scoop of butter pecan ice cream or a dollop of whipped fresh cream. Yield: Two 8″ pies or one deep dish 10″ pie.